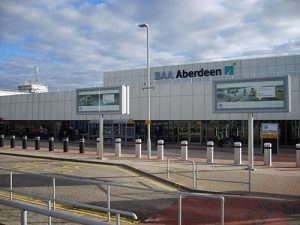 Aberdeen Airport is the third largest in Scotland, and the UK’s 14th largest airport – serving over 3.8 million passengers in 2015. With an average 7.8% growth per annum since 2012, recent developments include the on-going £20m extension to the main terminal building, and opening of a new high-quality off-site car park. As well as working with airports directly, ParkCloud is also working with airlines including Wizz Air and airBaltic. Using a dedicated site powered by ParkCloud’s reservation platform, Aberdeen Airport will be available on both airlines dedicated airport parking sites.